This is the USS Niagara. Sort of. 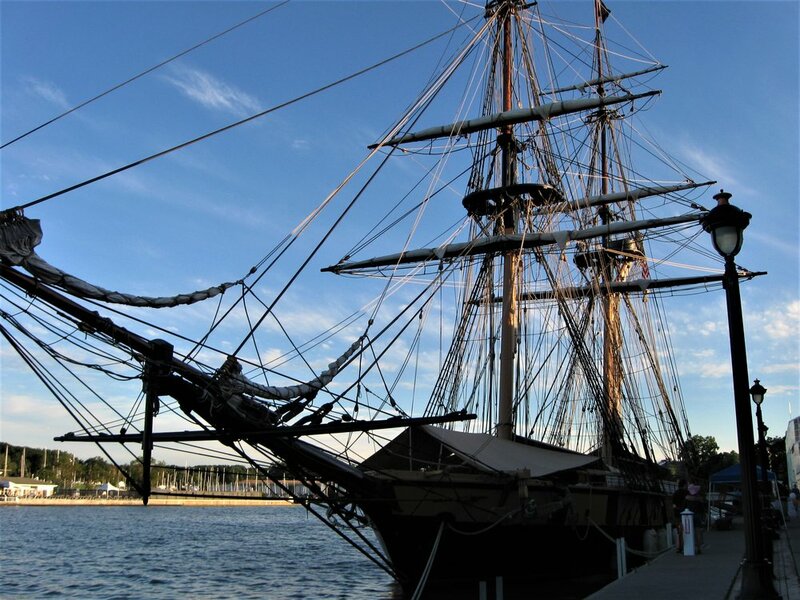 It has been repaired and restored and reconstructed enough that the original ship that patrolled Lake Erie in the War of 1812 does not technically exist. But you could also argue that it has been in continuous existence since it was raised from the waters of the lake in 1913. So, whether this is the USS Niagara or a replica of the USS Niagara is a puzzle. Either way, a ship of some sort docked at the Port of Rochester a few weeks ago, and I went to ogle it. I ogled the ridiculous amount of rope, or as boaty people would say, "line." I ogled its enormous anchor, or as boaty people would say, "anchor." I ogled this strange growth at the stern, which I believe is referred to in seafaring circles as a "rather large barnacle." Whether it is or is not the ship we think it is, overall, I approve.